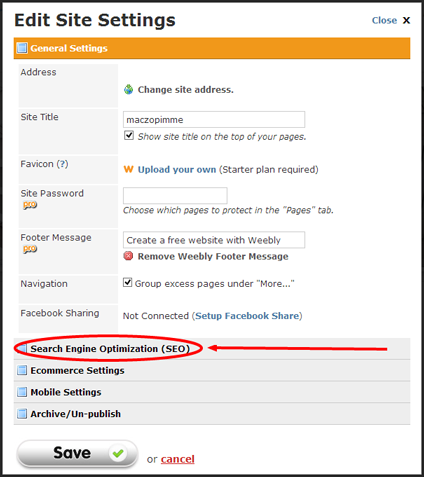 If your website is hosted by Weebly, follow these steps to add the Zopim widget to your site. Log into your Weebly account. Go to My Sites and select the site you want to add Zopim to. Click Settings in the top toolbar. In the Edit Site Settings window, select Search Engine Optimization (SEO). Enter your Zopim embed code in the Footer Code field.